Description: The Venn diagram use three triangles as the sets dexterously. 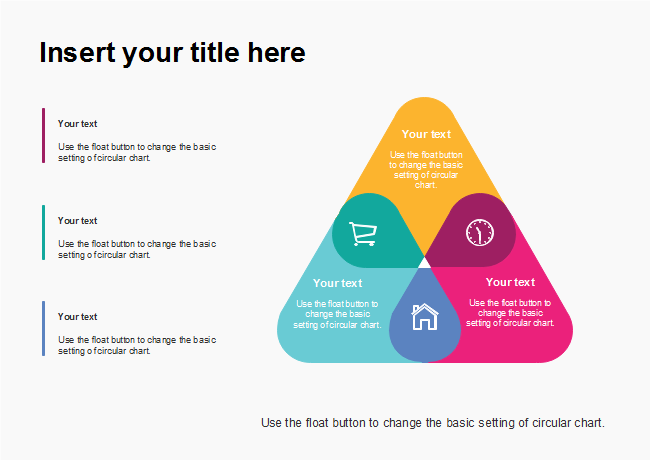 The colorful triangle Venn diagram template features a simple white background and a mix of modern font styles. Type in the details using handy editing tools of Edraw.